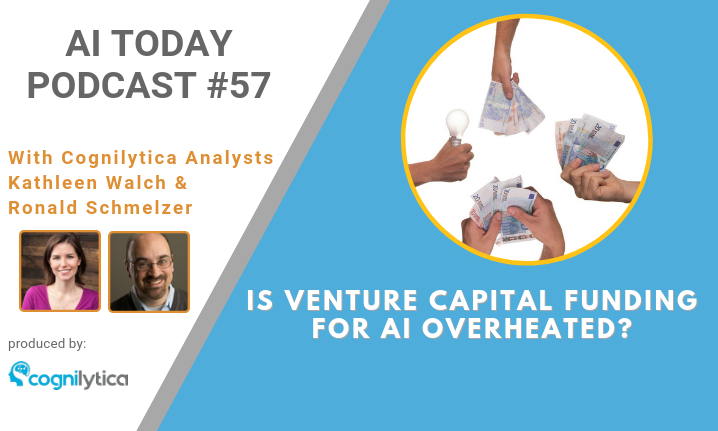 Home AI Market ResearchInvesting in AI AI Today Podcast #057: Is VC Funding for AI Overheated? Anyone observing the news can see that artificial intelligence and machine learning are getting lots of attention. 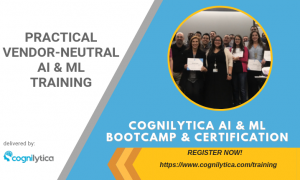 As long as a startup has AI or cognitive technologies in their business plans or marketing material, they seem to get funding. And the amount of funding some of these startups are getting is eye-opening! So this makes us ask the question: Are we in a bubble? Are these VC investments in AI realistic or out of control? Listen to the podcast to hear hosts Kathleen Walch and Ron Schmelzer discuss this topic.